← And The Winner Is ………..
For the past two (2) weeks, I had committed my blog to the contest and as my friend over at “Laughing at Everyday Life” said, once you are committed, you have to see it through. Needless to say, it didn’t exactly turnout the way I had liked, but I got a great name nonetheless. Again, I want to say “Congratulations, Cheryl” at Create a Beautiful Life, for the name “Dive Right In” for Phase 1 of Organizing. I never really know what the Lord has planned, especially if it don’t happen the way I think it should. It is imperative that we touch every item in the space. NO Really! Don’t Assume. I can hear you now, “I know everything in this space and I need to keep everything in it”. NOT! 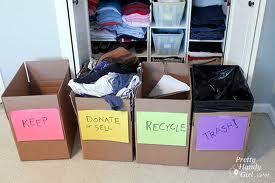 You should determine if you really need /want to keep an item, throw it away or if it belongs in another space. Once we have decided what is going to stay in the space and or potentially what items that may be added to the space, we want to develop an organizing system that will maximize all usable space. Everything must have its proper place. We need to be able to find the item(s) and be able to direct someone else to the item, if necessary. Again, it would be great if all members would participate in the process but that is not always feasible. But if you decide to do it yourself, you don’t want “Candy, Where is my _______?”, which you will probably get anyway! Keep in mind that after the project is finished, we will still need their support to maintain it. Now I am sure that you may have already decided, this is just TOO much work!!! But remember, once you have made up your mind to “Get Organized”, you have to “Dive Right In”. As I said in an earlier post, I am over-emphasizing the steps of the process, so that we do an effective job organizing our space and yet it doesn’t overwhelm us along the way. Clutter did not just happen overnight, so it will take time to get things back in order. We must think through the entire project, so that we avoid becoming extremely frustrated, especially if our space begins to look like it did before we started. Now that we have completed “Dive Right In”, we can decide if you really need to buy something and what it might be…. This entry was posted in Professsional Organizing and tagged Home, Organizing, Personal Organization, Space. Bookmark the permalink.